It has been such a big privilege being able to follow the story of these five lion cubs, having seen their mother mating with our dominant male around March of this year. Witnessing the mating was already special enough – a pair will mate for four days and nights around every twenty minutes, each bout lasting more or less one minute. We could only hope that the mating would be successful, and indeed it was! Excitement grew as we realised a bit later on that the lioness was definitely pregnant. The gestation period for a lioness is only around three and a half months. It is important that she is still able to hunt on a consistent basis and thus the reason for the short gestation period – she can’t afford to be held back by the pregnancy for too long. 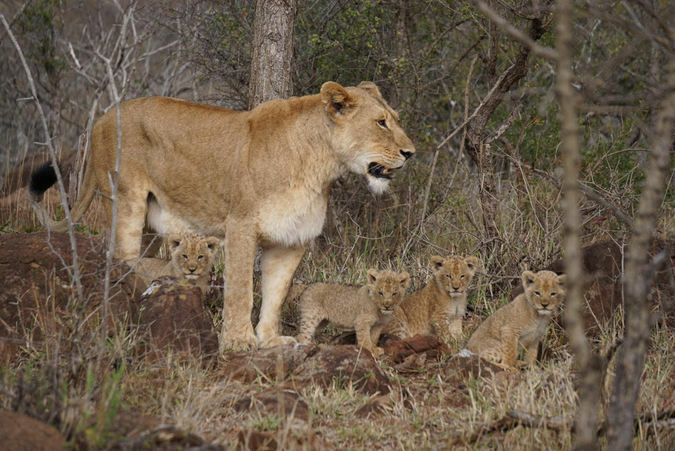 However, we knew we would have to wait a bit longer for the opportunity to actually see the cubs for the first time as a mother lioness will only bring out her cubs from the den, and for the rest of the pride to meet, at around six to eight weeks old due to them being very vulnerable at birth. We were lucky enough to spot these cubs from around two months of age. Litters of up to six can be born, but more usually it would be three or four. It was then with great excitement that we noticed that they were five cubs! As the mother is very relaxed with the game drive vehicles, we have been able to spend some real quality time with them up close and personal. They don’t seem to show any concern towards these funny machines intruding on their privacy every now and then. The cubs are enjoying their play time at the moment – this is essential as the ‘play fighting’ and ‘play hunting’ that they participate in will help them to hone their skills, which will be very important later on in their lives. 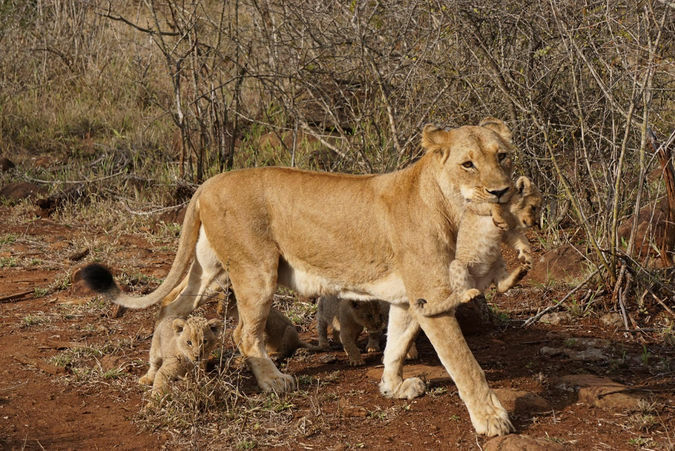 The lion that sired the cubs occasionally joins up with the lioness and her cubs, but is not involved in raising them, rather spending most of the time patrolling the territory and keeping intruders out. 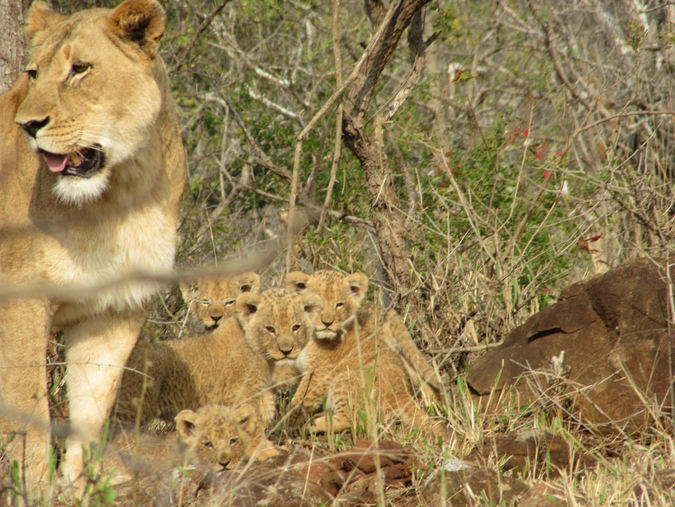 Male lions will kill young cubs, especially less than one year of age, after a territorial take over in order for the females to go into oestrus again and mate with the new coalition in charge. Coalitions are male lions defending a territory together. This would usually be brothers, but in our case we have a coalition that is not related – which is quite unique. Both males were on their own without brothers. It seems that after an initial violent confrontation, they felt joining up was the best thing to do. It will give them a better chance of survival and also a better chance of defending a territory. Remarkably the non-related male has accepted the cubs of the father, much to our relief. They are around three-and-a-half-months old now and have given us some priceless memories already. Hopefully they will stay safe and healthy, providing our future guests with lots of great sightings and memories for a long time to come! AmaKhosi Safari Lodge, situated in the heart of what was once the great Kingdom of the Zulu in northern KwaZulu-Natal. 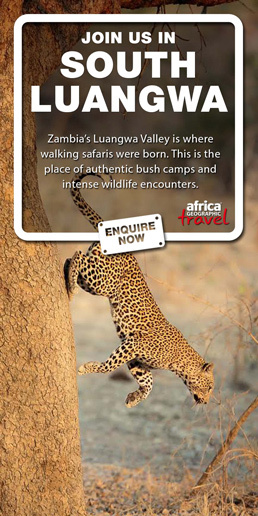 AmaKhosi Safari Lodge, is situated on the banks of the Mkuze River, in its own Private Game Reserve and is home to the big 5 as well as an abundance of bird life.